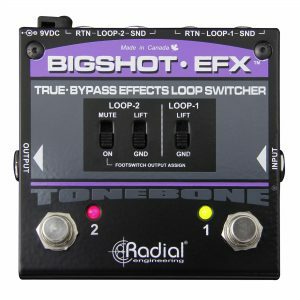 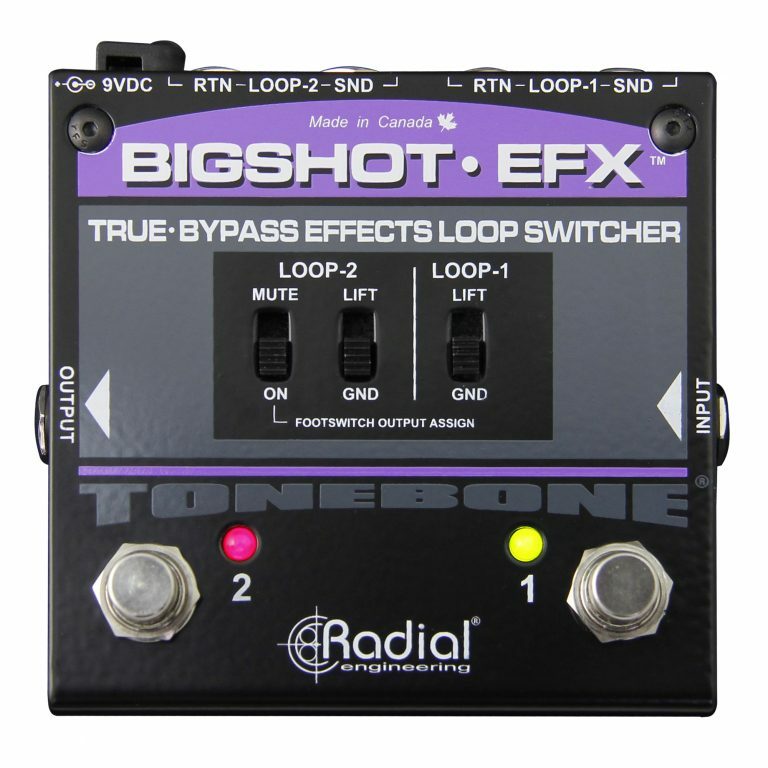 The BigShot EFX™ is a true-bypass effects pedal switcher that lets you set up two separate effects loops and insert them into your pedal chain when needed. 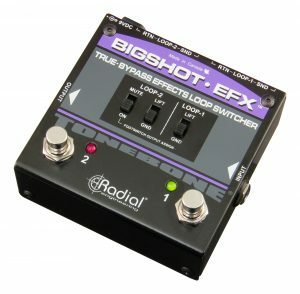 The BigShot EFX gives you the ability to take an entire chain of effects pedals in or out of your signal path with a single footswitch, providing you with a streamlined way to manage multiple pedals on stage. 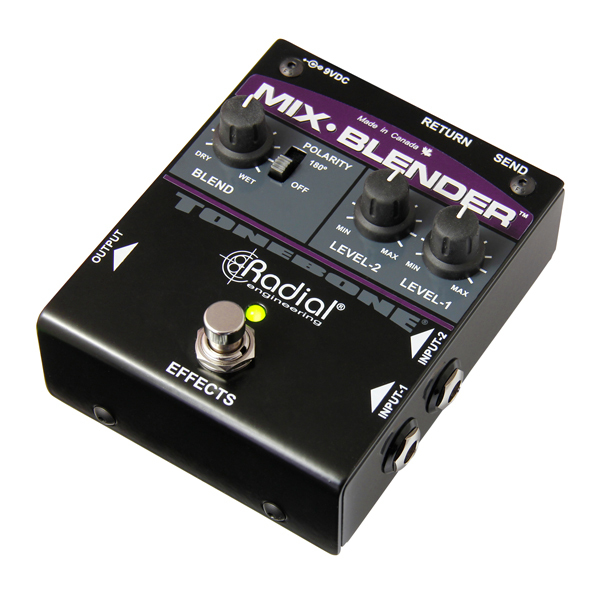 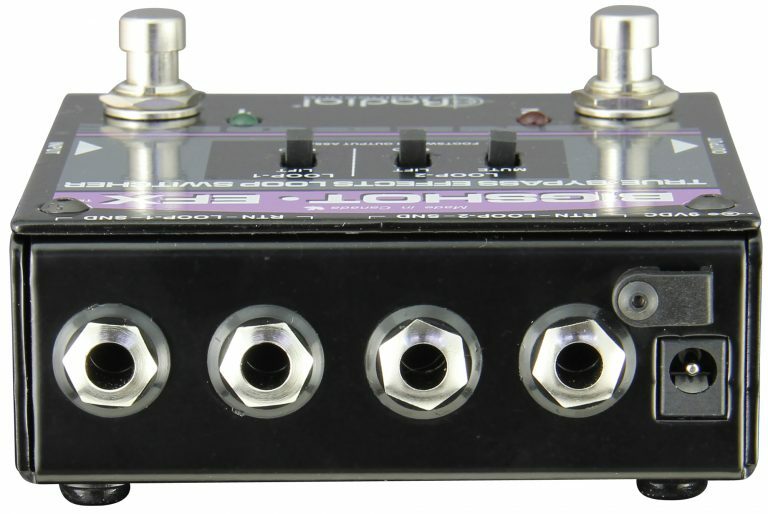 Two effects loops are provided and can be individually activated, or run simultaneously with Loop-1 feeding Loop-2 for even more creative options. 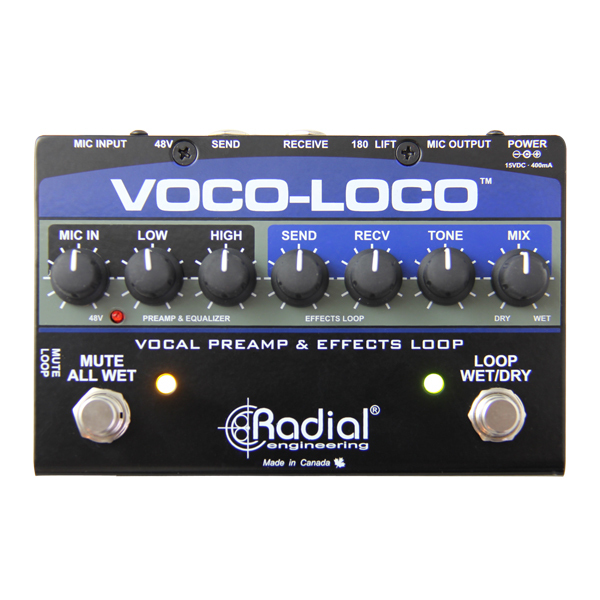 You can also set up Loop-2 as a mute for silent tuning or instrument changeovers. Since each loop is true-bypass, it allows you to keep noisy or tone-robbing pedals out of the signal path when they are not needed. 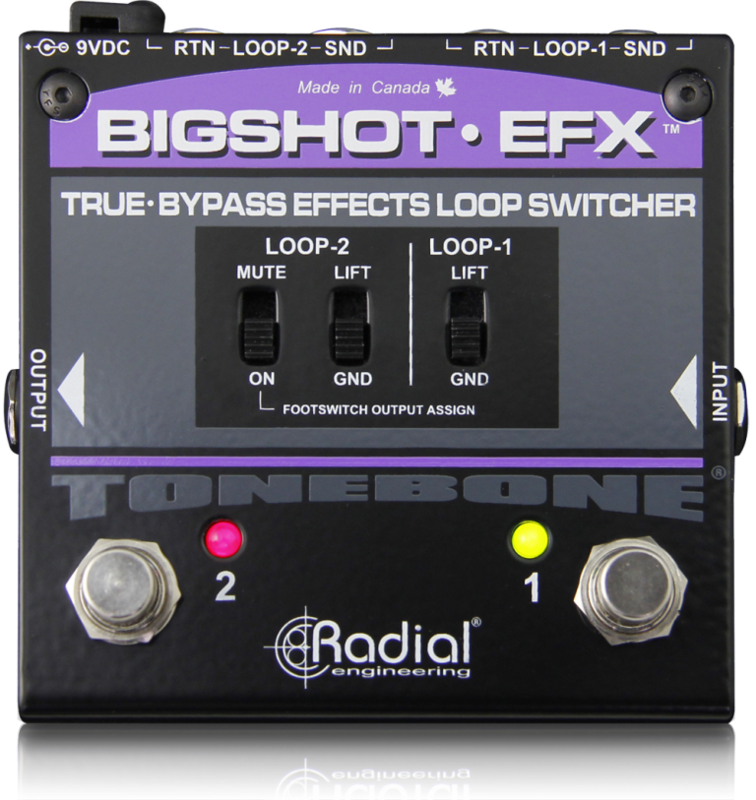 The BigShot EFX makes it easy. 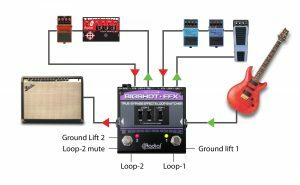 This way, you can have EFX loop-A connected with a series of effects that you typically use together and EFX loop-B with time-based effects such as a delay and chorus that you may bring in and out of your signal chain more often. 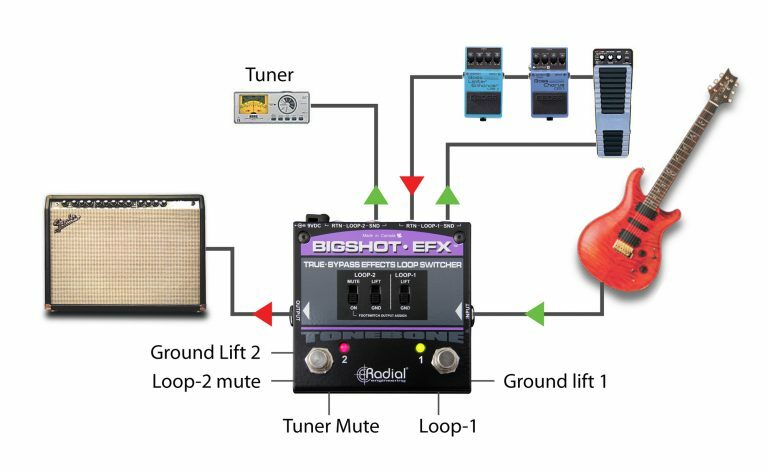 Taking pedals and tuners out of the signal chain will often reduce noise and loading on your pickups. 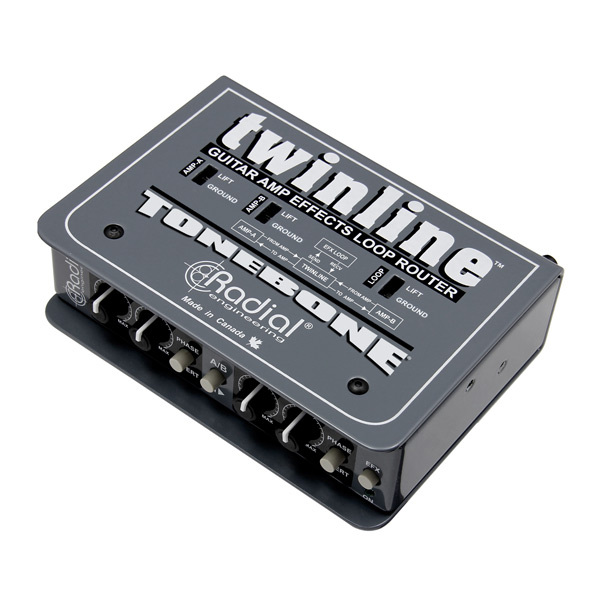 This creates a more natural tone. 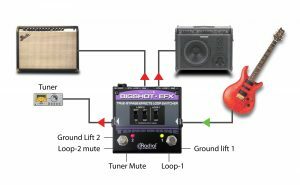 Use EFX loop-1 for your pedals. Move the mute switch to the up position and use EFX loop-2 as a mute while sending signal to your tuner. For older amps that do not have channel switching, connect the EFX loop-1 SEND-1 to channel-1 on your amp and SEND-2 to channel-2. 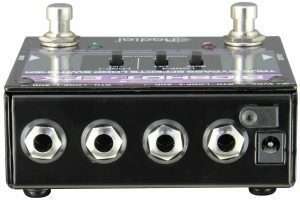 You can now turn each channel on individually. 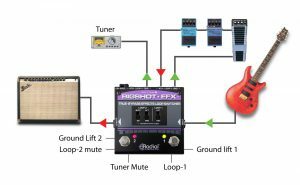 Add pedals in between the EFX and each channel for fun!